What do you business require from an FX provider? Of the businesses using a currency specialist would recommend other businesses to use its services, against 35% of SMEs using banks who would recommend it. Less than one-quarter of UK-based companies are aware that they have a bank alternative in the form of a corporate currency brokerage. This is why 8 out of 10 businesses still use banks. Of all small business clients claim that their foreign exchange payment provider is cheaper than their bank. Of the property businesses in the UK have been let down by their banks’ FX services at least once. At MoneyTransferComparison.com, we help businesses (SMEs to larger corporations) optimise their foreign exchange transactions. If your business needs to send or receive international b2b payments, you’ve come to the right place. We review and analyse all aspects relating to corporate FX before we make recommendations. Execution of Orders: Online, via Telephone, or In App. Operating Since 1979. Highest Credit Rating. Preferential Rates for Our Referrals. Offices: All 5 Continents, but not accepting USA based businesses. Execution of Orders: Via Telephone, Online or In Person. Strong Point: Price Rate Guarantee, Service-Orientation, Reliability. Trading more than $7bn each year. Execution of Orders: Online, via Telephone, or In Person. Geographical Selection: All companies featured in our selection can take on corporate clients from almost anywhere in the world. Whether your business is based in the UK, the EU, Australia, Canada, the USA, New Zealand, Singapore, Hong Kong or anywhere else in the world – the business fx services listed on this page can help you. Import & Export Operations– Selling products or services to a foreign client. Regular International Payments– Automatically performing payments for outsourced services. Suppliers’ Payment– Paying foreign product or service suppliers. Overseas Employees Salaries– Attracting a talented foreign-based workforce. Currency Risk Hedging– Fixing the FX rate for a particular specific of time. Commercial Mortgage Payment– Borrowing and repaying money to a foreign bank. Overseas Investment– Buying a plant, land or a company abroad. Payroll payments – Automated or non-automated international payroll payments. Repatriation of Funds – Receive foreign currency payments from abroad. How Did Moneycorp Help my Small Business? On an annual basis my client imports over $1.5M of goods from China so the effect of not managing their currency exposure can be very harmful to the business and in the past currency has mainly been bought at the spot rate. My advice was to manage the exposure particularly the downside risk of currency falls especially with a possible Brexit on the horizon, so we invited three companies including their current bank to talk to us about their different products and the service that they can provide. There wasn’t a vast difference between the rates that they all offered although moneycorp was the best, but what was evident was the advice of what products were available was quite clear and the ease of setting up the account was trouble free. 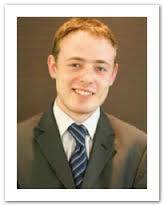 – Andrew’s testimonial is verified. He uses Moneycorp as his currency provider. And how NOT to get screwed royally. Written by George Tchetvertakov, a 10-year veteran in the foreign exchange space. His diverse experience includes editorial and writing roles in publications such as Finance Magnets, alongside roles in FX firms like Head of Market Research at Alpari UK and Business Development Executive at Moneycorp UK. If you’re a business that has made a decision to place a currency transaction or trade, then you’ve come to the right place. To see how a business foreign currency provider can add value to your business, read our 11-point list above. Here are 6 absolutely critical factors to consider before making a contractual commitment to exchange one currency for another. Before getting overexcited about the ultra-competitive currency transaction rate you are being offered, you may want to ask the question, ‘With whom am I doing business?’. In the FX world, this question carries a lot more traction and will take you a lot further in search of a reliable corporate FX broker. The not-so-often-spoken truth about foreign exchange at all levels is that entities often do business under the financial authorisation of another entity, under so-called ‘affiliate’ or ‘white-label’ agreements, depending on the FX niche in question. To ensure that you know the full story of the company to whom you will be potentially transferring millions of dollars with the expectation of a currency exchange, make sure you carry out a full due diligence check on the company you have earmarked and check its financial market status through our website. This is an obvious one that’s often forgotten. Many corporations (particularly the smaller ones) jump into conducting a currency transaction, be it a business payment or a Forward contract, at the last minute, when needs demand it, rather than when it’s most advantageous to do so. This usually comes down to an oversight or simply being faced with unforeseen circumstances, or merely being ignorant that better rates even exist. This can be simply removed from the equation by having a reliable fx provider already waiting, having completed the account-opening process beforehand. Knowing exactly what has been (or is about to be) contractually agreed is important, as is knowing exactly what the expected currency transaction will look like. Keeping a close eye on the specifics of the deal, such as currency exchange rate, due date, country where nominated bank account is held, and associated bank fees is essential to the deal maintaining legal integrity and for costly clerical mistakes to be avoided. In modern times, recommended currency operators routinely offer online portal functionality, allowing corporate users to log in and track all the details of their transactions. Being able to use and understand these tools can be more difficult than first believed, however, especially if the corporate entity does not routinely engage in financial market transactions. It is easy to forget that currency transactions with some brokers are filled with jargon that may not be easily understood by firms outside of the financial services industry. 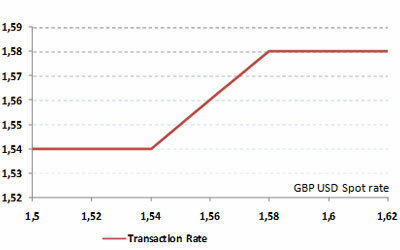 For this exact reason, we have established MoneyTransferComparison.com, which does all the hard work for its readers. What a corporate fx B2B payment can cost is not solely limited to the commission fees that have been agreed upon. There are also tangible and intangible costs that all businesses, regardless of size, should consider when conducting a currency transaction. Of the tangible variety, there is a transaction cost in the form of commissions or flat fees, including as-yet-unseen bank charges. There is also the possibility of interest-bearing charges upon late delivery (particularly in the case of regular payments). 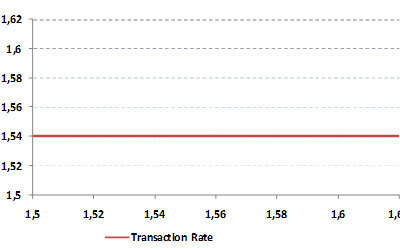 In the intangible corner, there is an outside chance of a currency provider not being able to carry out the transaction, despite the agreement made. This could well mean legal expenses and delays in obtaining the expected funds, or any funds at all. It cannot be emphasized enough how important due diligence is when opening a currency account — especially corporate accounts where many of the protections afforded to private individuals are not forthcoming. Meanwhile, operators of start-ups and small-sized businesses often make the mistake of acting as a corporate entity, believing they have the commercial rights of an individual. The larger the expected volume of trading, the larger the risk mitigation should be in the form of professional due diligence. The best currency rates do not always come from the same fx company. Very often, one provider will have the best rate one day, and another will have it the day after. Therefore, one consideration worth making is asking just how competitive your current rates actually are. This may be routine for financial sector firms, but for real-estate agents, import/export companies and shipping agents, as just a few examples, currency exchange rates are often a late afterthought without forward-planning and taking into account alternative means of obtaining the right currency at the right time. One of the prime reasons for many businesses to switch their corporate currency exchange solution from their bank to an alternative provider is cost. However, using third parties for currencies carries unforeseen risks, deep considerations and potentially additional steps to obtain the same peace of mind that banks arguably provide. Therefore, to finish this list of things to consider, one consideration may simply be that your existing banking service may not be so bad after all. It all depends on the type of business you have, transaction size, frequency and currencies required. However, determining which option is best can only be done after some mindful thinking and careful consideration of all the factors surrounding foreign exchange dealings that specifically apply to your business. The rule of thumb will dictate that if your business is large enough, you could potentially get the same rates and fees directly from your bank, and get direct access to the trading room. If you are an SME, a corporate foreign exchange solution is likely to be your best choice. How does the pricing of Forward Contracts work? How to handle international invoicing? What are the best solutions for online serllers? Composed by Badre Bouarich, a former Trader and Multi Asset Structurer (Forex, Interest Rates) at HSBC bank in London & an expert Financial Writer. To read our complete guide click here. A main task for a company’s manager is to minimize (hedge) risks that are not necessary for the performance of the business. Among the different types of risks lies a very important one that can jeopardize the financial health of any global company: Foreign Exchange Risk. As currencies fluctuate and as markets increase in volatility, it becomes very difficult to predict the future and gain stability in terms of inflows and outflows. For this reason, more and more companies are hedging their future cash flows and stabilizing the rate at which they will exchange currencies in the future. As the derivatives market developed and as counterparty risk became mitigated through clearinghouses, hedging possibilities have widened, making it possible to reasonably hedge cash flows due in 3 years time. Now, there are different instruments that will enable you to achieve your desired objectives – although a thorough understanding of the products involved is necessary. There are additional tools to the vanilla 4 presented here, such as a Time Option, which is fully hedged, unlimited upside, minor cost, and participating forward. Additionally, this is also partially hedged with upside potential. Again, commercial corporate FX companies will make tremendous efforts in order to inform you about market developments, along with the most adapted instruments to use. Moreover, they will give you access to a set of hedging instruments that banks will provide only for the largest corporations. Read the full overview on our hedging guide. 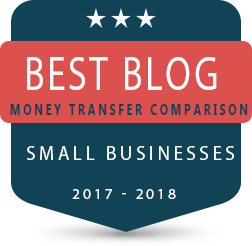 If you are looking for a business FX provider and want to see all the options readily available for you, you can have a look at the list below of all the companies on MoneyTransferComparison with good ratings which are applicable for small businesses. It doesn’t go out to say others are not good, or that each one of these companies is excellent, but rather a list of reviews worth reading to become more familiar with the options in hand. * Kantox offers an online platform which is specifically made for businesses. It’s not a traditional corporate Forex dealer. Why Are These Particular Companies Recommended? Corporate FX does not only consist in sending B2B payments from place A to place B (and sometimes B2C as salaries). It also involves continuous advisory, market monitoring and timely execution. When conducting their business operations, companies need to find corporate forex brokerages and real partners that will enable them to increase profitability, while mitigating risks. Wide Global Reach– In the era of globalization, it’s necessary for your business to gain worldwide exposure and access to new markets. As developed markets get very competitive, emerging markets can offer tremendous business opportunities that the best Foreign Exchange firms will enable you to capitalize on. Liquidity / Competitiveness– High liquidity enables companies to tighten their bid/ask spreads and offer you better exchange rates. For this reason, liquidity is among the most important parameters to take into account when dealing with a commercial Forex company. By selecting the right company, you could save up to £10,000 on a £500,000 transfer. Credit Rating – FX derivatives can be trickier than straightforward international payments. If the commercial service provider goes bust, it’s not only your funds that are at stake, but also the contract, which might not be honoured when it matures. This is why selecting a company with a high credit rating is absolutely essential. Customer Service– Alerts, Stop losses, recurrent payments, timely execution and market advisory are all elements that will enable you to gain time while focusing on your company’s core value proposition. Corporate FX firms with great customer service will watch your back while you focus on the operational side of your business. Online Merchants –Foreign bank accounts. While it is not possible for other types of corporate clients, some companies allow eCommerce sellers to set up collection bank accounts abroad. That means foreign currency payments are being exchanged for much better rates. Read our dedicated Merchant bank account guide. Experiencing problems with an FX provider? We will try to help out! If you are experiencing any sort of problems or having major disagreements with either of the FX providers listed on our website we would love to hear about it. This kind of information can help us separate the wheat from chaff and figure out what business FX clients are really experiencing, and additionally to that, we may be able to contact the company and see if there’s a way to mitigate the issue and achieve a full satisfaction of all parties involved. We don’t commit to look into every single email we get (we do get a lot of those, most of which are unjustified complaints relating to the extensive KYC processes business have to undergo in order to conduct a transfer), but we did help several disgruntled clients in the past and plan to continue doing so. Please have a look here: FX Case Investigation service to learn more! Should You Go for Large or Boutique? Here on MoneyTransferComparison, we have tested and rated a variety of FX companies offering business services. Some of these we rated poorly (like Western Union), some don’t handle business (like Azimo), and some simply don’t appear to be a good option for business, even though we think they provide good solutions to private clients (like Transferwise). Even so, there are more than 10 other companies that provide corporate FX services that we do recommend. The main differentiation between them is their size. Higher trading volumes, more employees (both sales, marketing and dealers), and more offices across the globe. These typically are headquartered in London. Advantages: Get better rates than smaller companies and thus the haggling space on the spreads they take could be potentially smaller. These companies have a lot of experience dealing with thousands of businesses in varying sizes in different markets. They usually have higher global reach than smaller firms, and local presence in countries which enables them to handle complicated transactions better. 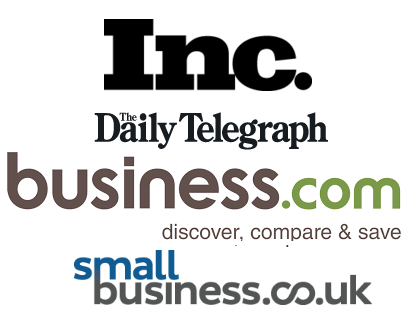 Plenty of testimonial to attest for their quality of services from fellow business owners. Disadvantages: Though the staff is professional, as a small business you are not likely to be dealing with the head dealer. Smaller trading volumes, fewer employees, and usually fewer than 5 offices (where oftentimes there’s only a single UK office). Advantages: Often provides a higher level of expertise from currency dealers. Extremely service oriented. They need your business to work with them, and are therefore willing to offer tighter spreads. Disadvantages: Usually don’t accept US-based businesses. Have fewer corporate clients, so some scenarios could be unprecedented. 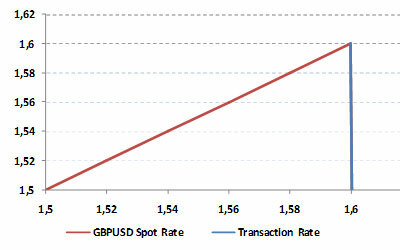 Lower global reach (dealing with fewer currencies). Less testimonials to their services than with larger firms. We suggest that larger multi-national corporates stick to the larger companies. After all, they need a company that can handle these large transactions efficiently and have been doing so for a long while. The risk with large transactions does exist – as currency transfers are not insured – and if a company goes bankrupt, you could be getting hurt (although client accounts are separated from the company’s accounts by FCA instruction). For smaller businesses, we suggest trying one of the smaller firms. They could potentially get better rates and more tailored services than with larger firms. Smaller businesses can also get direct access to the head dealer and even the Managing Director / Senior Associate of the company, if required. 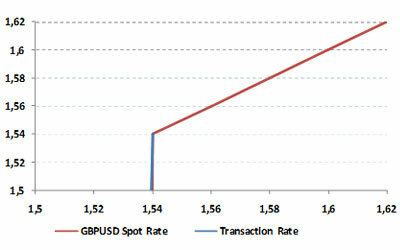 How does the trade account impact currencies? We have wrote extensively about various aspects of running a small business. From FX transfers, to FX education through general topics like marketing and management. Business Excellence Awards: Read our comprehensive award list for exceptional people, blogs and websites in the domain of small business advice, financial advice, disruption and of course transfer of funds. Our list consists of figures like Susan Solovic and Marty Zwilling, as well money transfer startups like Neema, and of course our top ranked firms World First, Currencies Direct and Moneycorp. Within a global macro-economic conjuncture that is characterized by transition and instability, businesses have been facing a growing number of risk-bearing factors. Nevertheless, this climate has also created a tremendous number of opportunities for businesses willing to open up, take the extra step and explore global marketplaces. As a consequence, international money exchange flows have sky-rocketed and it has become critical for business owners and managers to optimise their cross-border transactions, while turning potential risks into value-adding elements. An international B2B payment conducted via an FX firm that specialises in business is the best choice that a small business owner or a company’s money manager can make. I am not sure if the average business which seldom transfers money really needs such services, but businesses like the one I’m running (international media) definitely benefit from the 1,2,3% off I get compared to HSBC or Barclays. If your game is margin consider such companies (I recommend World’s First, simple ways to make future contracts and secure rates). I own a business which needs to transfer money abroad (Spain) on a monthly basis. I looked for the cheapest way to do it with a decent service. After comparing several options and reading the great tips in the page, I found WorldFirst and their service is excellent – really trying to help me and understand my business’ needs. would like to do buisness togather thanks!